The number of structures demolished in Bedouin Palestinian communities in Israel nearly doubled in 2017, compared to the previous year, according to a report in Haaretz. Bedouin Palestinian citizens of Israel, largely located in the southern Naqab/Negev region, say that they are being subjected to “behind the scenes” pressure and threats by authorities, leading people to demolish their own homes and other structures. The 2017 figure for demolitions is reportedly the highest since the state started keeping track in 2013. Israeli authorities have refused to “legalize” dozens of Bedouin Palestinian communities in the Negev, and restricted the ability of “recognized” communities to naturally grow. B'Tselem organization on Tuesday launched a petition to foil an Israeli plan to displace thousands of Palestinians who live in about 200 communities in Area C in the West Bank. B'Tselem said in a report, "It's happening right now and every day. Israel is trying to displace thousands of Palestinians who live in about 200 farming-shepherding communities in Area C of the West Bank. Dozens of these communities face imminent expulsion, and others are subject to various forms of abuse, violence and dispossession." The organization affirmed that Israel's goal is to establish as many facts on the ground as possible in order to make more land available for settlements. The report noted that Israel is focusing its military campaign on three areas in the West Bank. The first area is located south of al-Khalil mountains. Nearly 1,000 people, about half of whom are minors, live in this area. The Israeli army began transferring out local residents in late 1999 arguing that the land had been declared a "firing zone" since the 1980s. The Second area is Ma'ale Adumim. In the 1980s and 1990s Israel expelled hundreds of Bedouins of the Jahalin tribe in order to establish and later expand the settlement of Ma'ale Adumim. 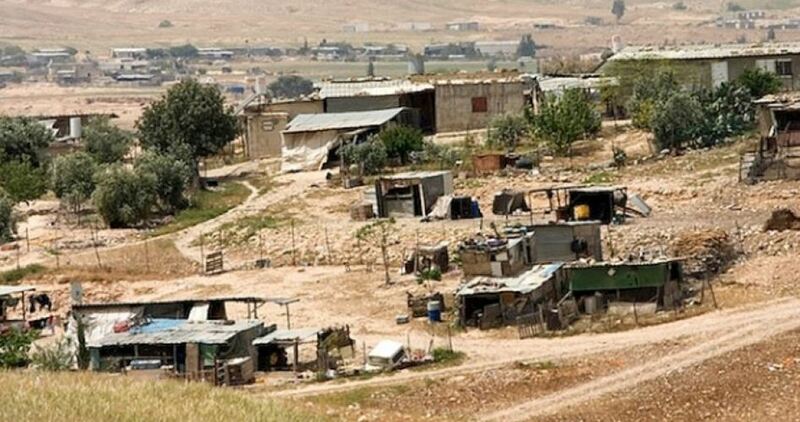 The Palestinians were transferred to a permanent site created for them near Abu Dis garbage dump losing access to the farmlands that were their livelihood. Now, the report said, another 3,000 local residents are facing imminent expulsion. 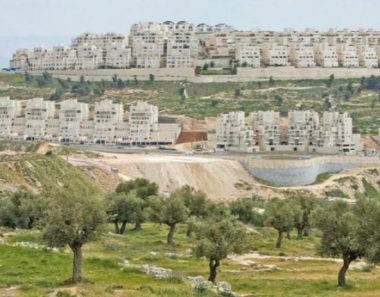 This number includes about 1,400 who live in an area that Israel has designated E1 and earmarked for expanding Ma'ale Adumim to create a contiguous urban bloc between the settlement and East Jerusalem. The third area is Jordan Valley. About 2,700 Palestinians live in this area in about 20 shepherding communities. The Israeli army has declared much of these communities "firing zones" and regularly conducts training exercises near them. Residents in some communities are repeatedly forced to evacuate their homes so soldiers can train nearby. 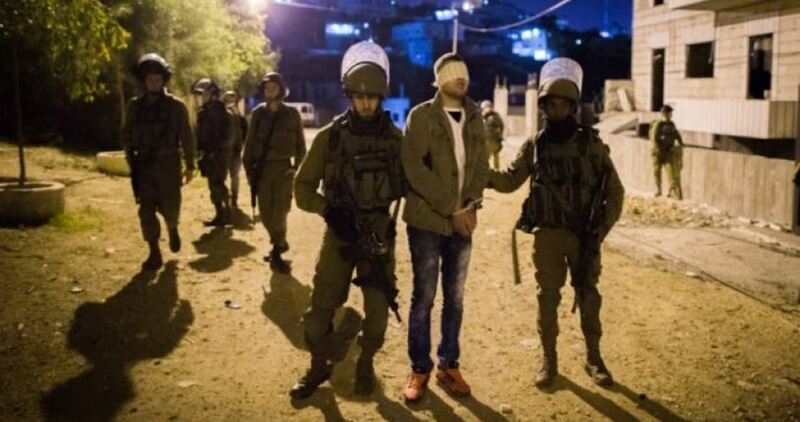 The Israeli occupation forces (IOF) on Wednesday launched new arrest campaigns in the West Bank, a move seen by observers as an attempt to intimidate Palestinians and thwart any popular events scheduled for the Palestinian Land Day on 30th March. 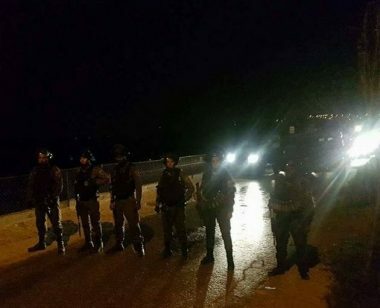 Local sources told the PIC reporter that the IOF raided the towns of Qabalan, Awarta, Qaryut, Madama, Urif and al-Sawiya in Nablus and arrested six Palestinians. 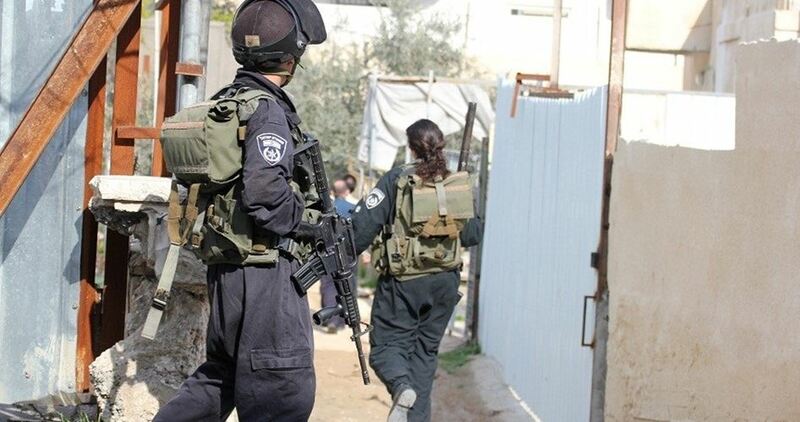 At the same time in Jenin, the IOF launched a raid and search campaign targeting houses of Palestinian prisoners in Qabatia. The PIC reporter said, quoting local sources, that the IOF soldiers broke into the house of the Palestinian prisoner Ibrahim Sweiti, wreaked havoc on it, interrogated the family members and confiscated 2,500 shekels. The IOF further raided the house of prisoner Wahib Abu al-Rub, searched it and assaulted his family. Meanwhile in al-Khalil province, local residents told the PIC reporter that a large military force stormed Halhul city, searched a numbers of houses and wreaked havoc on them. The Israeli-controlled Jerusalem municipality on Tuesday notified the demolition of a number of Palestinian houses in Silwan town south of al-Aqsa Mosque. 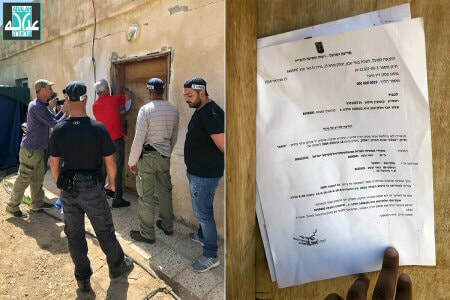 Wafa reported that crews from the Jerusalem municipality, escorted by a police force, stormed Silwan and distributed orders to demolish Palestinian houses in the town for allegedly being unauthorized. 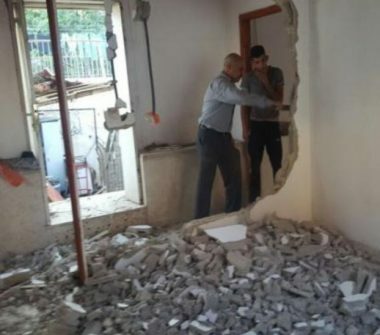 The municipality on 18th March forced the family of the Palestinian citizen Ishaq al-Shweiki to demolish their own house in al-Abbasiya neighborhood in Silwan under the pretext of being built without license. Jerusalem municipality's bulldozers on 6th March demolished a car wash in the city under the same allegation. 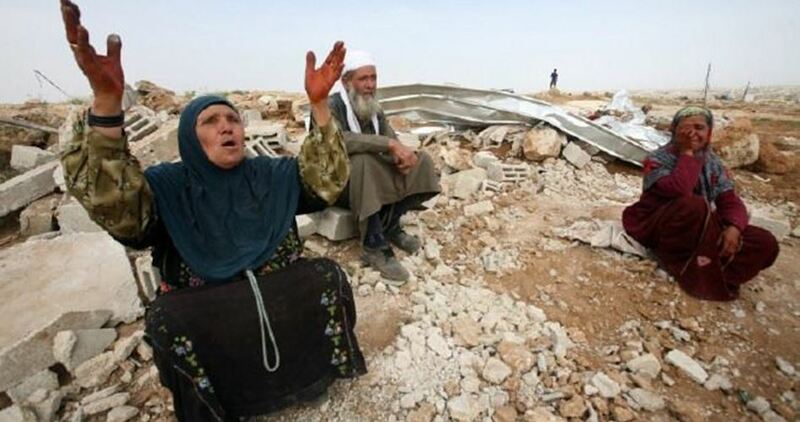 Israeli authorities announced this week that they would demolish the entire Bedouin village of Umm al-Hiran in April. In response, Adalah – The Legal Center for Arab Minority Rights in Israel sent an urgent letter yesterday, 21 March 2018, to Israeli Attorney General Avichai Mandelblit and the Israel Land Authority demanding that they postpone the eviction of residents and demolition of their homes. temporary structures without even the most minimal living conditions, and without any hookups to basic infrastructure such as water, electricity, or sewage,” attorneys Bishara and Morany wrote. Israeli occupation forces (IOF) rounded up two young men and confiscated a sum of money during raids in al-Khalil at dawn Thursday. The PIC reporter said that Palestinian youths tossed Molotov cocktails at a bus for settlers near the Karmi Tzur settlement and started fire in the bus but no injuries were reported. He added that a big number of IOF patrols rushed to the scene and started combing the nearby groves in search of the young men. 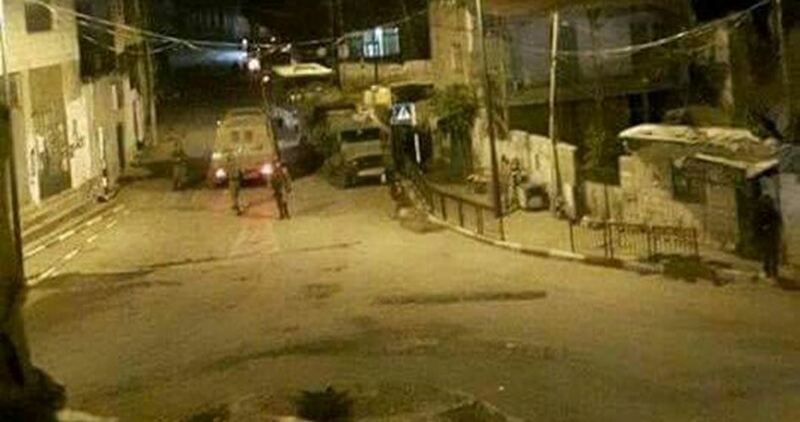 Confrontations were also reported near Halhoul village to the north of al-Khalil after IOF soldiers broke into the home of a martyr and searched it at the pretext of looking for weapons. On their exit from the house they were confronted by angry youths throwing stones at the soldiers, who responded by firing teargas canisters some of which exploded in a nearby house causing suffocation among its inhabitants. The PIC reporter said that Palestinian civil defense squads arrived at the house and evacuated its inhabitants and offered them field treatment. Meanwhile, two young men were rounded up by the IOF soldiers one in al-Khalil city and another in Daheriya town to the south of the city. The IOF spokesman also said that 100,000 shekels were confiscated from citizens in Yatta town in al-Khalil, claiming they were supposed to be used for anti-occupation activity. Khan al-Ahmar villagers in Occupied Jerusalem have appealed to the international community to prevent Israel from displacing them and demolishing the school of their children. 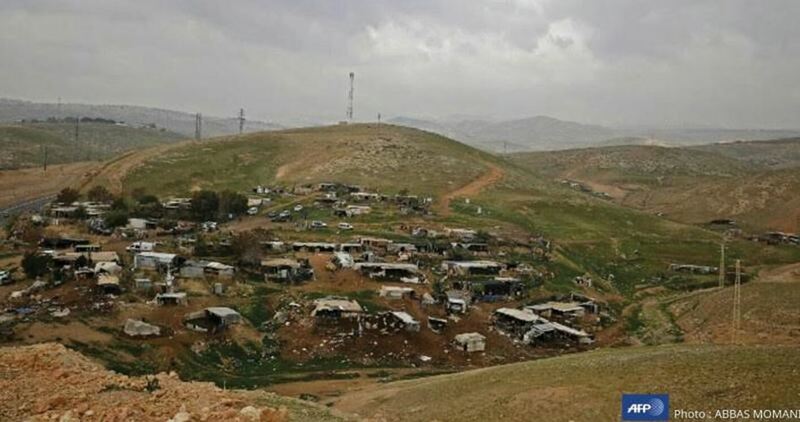 “A hearing will be held by the Israeli higher court of justice on April 25 and it will be final to decide on the displacement of Khan al-Ahmar Bedouins,” spokesman for the villagers Eid Jahhalin stated on Tuesday. Jahhalin warned that this court hearing would be decisive after Israeli war minister Avigdor Lieberman had promised the council of settlements in 2017 to demolish Khan al- Ahmar village. He said that he had invited the consuls of the European states a few days ago and briefed them on the seriousness of the situation, adding that activities and a protest would be staged every Thursday on the main road in the village with the participation of Palestinian and European activists to condemn Israel’s intent to displace the village residents. 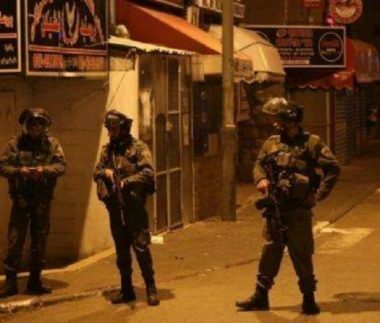 Israeli soldiers abducted, on Tuesday at dawn, one Palestinian from Balata refugee camp, east of the northern West Bank city of Nablus, in addition to abducting a man, on Monday at night, at Za’tara military roadblock, south of the city. The army also took measurements of homes in Beit Ummar, near Hebron. Media sources in Nablus said several army jeeps invaded Balata refugee camp, before the soldiers invaded and searched homes, and abducted a young man, identified as Ahmad Adel Marshoud. On Monday at night, the soldiers abducted Sa’id Mohammad Suleiman, 44, after stopping him at Za’tara military roadblocks, south of Nablus, and took him to an unknown destination. The Palestinian, from Tubas city, in northeastern West Bank, was cuffed and blindfolded, before the soldiers took him to a nearby military base. In related news, dozens of soldiers invaded Beit Ummar town, north of the southern West Bank city of Hebron, installed roadblocks, and invaded several old homes in the ath-Thaher area, and took measurements of the buildings, especially their rooftops. The soldiers placed ladders to climb on several rooftops, before taking their measurements without informing the Palestinians about the reasons behind these invasions and the measurements. Furthermore, the army installed military roadblocks east of Yatta town, south of Hebron, in addition to Hebron’s northern and southern roads, and the main entrances of Sa’ir and Halhoul towns, before stopping and searching dozens of cars, and interrogated many Palestinians while inspecting their ID cards. The Israeli occupation army on Monday continued to carry out military drills in the mountainous area of al-Aqaba village in the northern Jordan Valley, destroying cultivated fields belonging to Palestinian farmers. 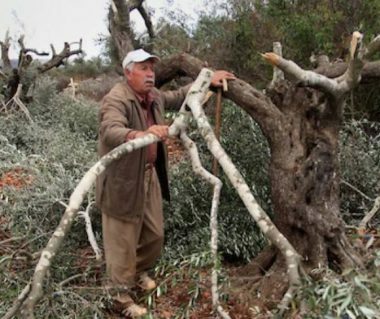 Chief of the village Sami Sadeq reported that the local farmers incurred more heavy losses after Israeli armored vehicles wreaked havoc on their agricultural lands. He added that the Israeli army had been conducting drills for days in their area and its troops deliberately caused widespread damage to rain-fed crops. The Israeli army announced Saturday that it plans to recommend that the Israeli government split the village of Barta’a in two, after a vehicular collision on Friday that resulted in the deaths of two Israeli soldiers. Palestinian family members of the alleged attacker contend that it was a car accident, not an attack. But despite the confusion about Friday’s incident, the Israeli army appears ready to use it as an excuse to move the Israeli Annexation Wall into the middle of the village of Barta’a in order to exclude Palestinian residents of the village from Israel. The driver of the vehicle that struck and killed the Israeli soldiers, Ala’ Rateb Abdul-Latif Qabha, is from the village of Barta’a, which is located on the Israeli side of the Annexation Wall. But after the deaths of the two soldiers, the Israeli military is recommending moving the Wall to split the village in two, with the eastern half inside the West Bank, and the west half inside of Israel. Qabha was wounded in the vehicular collision, but instead of being taken to the hospital, he was abducted by the Israeli military and taken to a military base for interrogation. He will likely be charged in an Israeli military court for ‘terrorism’ because the two soldiers died in the collision. 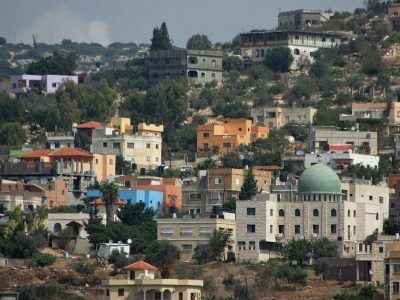 The Israeli military has vowed to demolish the family home of Qabha, and has already revoked the work permits of 65 members of the extended family of Qabha, as forms of collective punishment against the family of the alleged attacker. 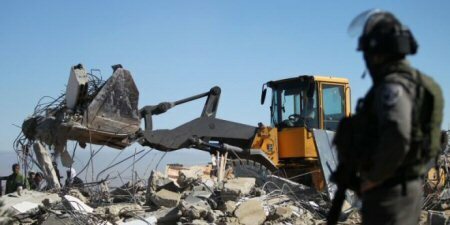 The Israeli government carries out punitive home demolitions against the family homes of nearly 100% of Palestinians suspected of attacking Israelis. These demolitions are carried out before any trial has taken place in these cases.